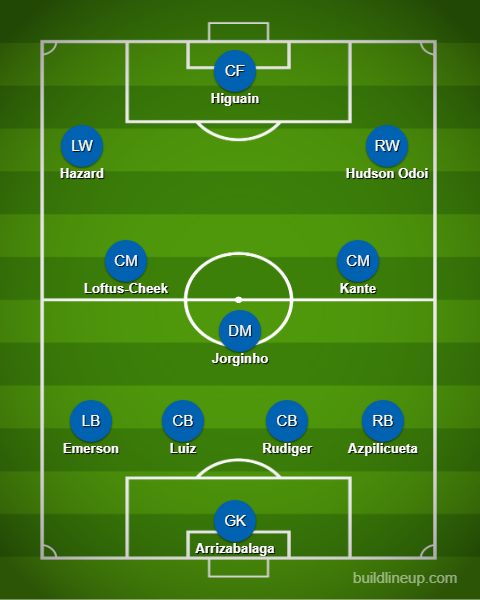 4-3-3 Chelsea’s predicted line up vs Liverpool: Hazard and Odoi back in the first XI? Chelsea travel to Anfield this Sunday in order to take on league leaders Liverpool and this could be a very vital match for both the sides. While Liverpool are chasing the Premier League title, the Blues, on the other hand, are desperate to secure a top-four finish in order to get back into the Champions League, Winning the Europa League would also ensure the same but Sarri would not want to rest the fate of his managerial career for the very final game of the season – if they manage to play the finals i.e. 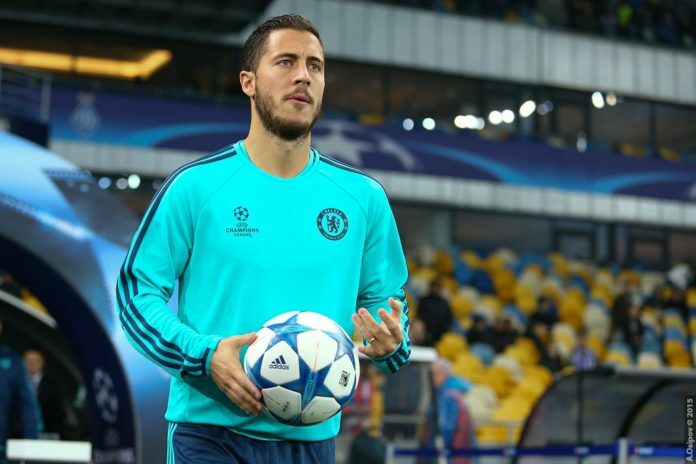 The Blues played in the Europa League on Thursday which means we can expect a number of changes to their first XI at Anfield with the likes of Hazard and Higuain expected to come back. Marcos Alonso returned back to the starting XI vs Slavia and went on to score the only goal of the game. But the Spaniard will most certainly drop back to the bench making way for Emerson. Christensen also got a rare start in central midfield alongside Rudiger and while Rudiger will keep his place on Sunday, David Luiz is set to be replaced by Christensen. Azpilicueta just like Rudiger will also keep his place in the first XI vs the Blues. Ross Barkley and Matteo Kovacic both got to start on Thursday in Prague but the duo will make way for N’Golo Kante and Ruben Loftus-Cheek on Sunday. While Kante will return back to his role as the wide midfielder, Loftus Cheek will play further upfront joining the forwards in attack whenever the opportunity arises. Jorginho played vs Slavia in midweek and he will most certainly retain his playing in the starting XI at Anfield. Eden Hazard was rested in midweek as Willian played down the left flank but the Brazilian will move back to the bench in order to make way for Hazard who has been tipped to move out of Chelsea at the end of the season. Hudson-Odoi is another player who was rested vs Slavia but the youngster has given a number of fine performances during the past couple of games and it looks like Sarri is finally starting to trust the player. The England international will replace Pedro on the right flank. Olivier Giroud will move back to the bench making way for Gonzalo Higuain but Sarri might very well look towards the French international during the second half if things start turning south.